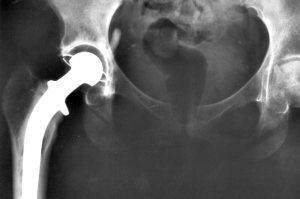 At the annual conference of the American Academy of Orthopaedic Surgeons earlier this year, Mayo Clinic researchers reported that 2.5 million Americans are living with artificial hips, surgically implanted when their natural joints degenerated or were fractured. Most of these patients found themselves with a new lease on life after their surgery, able to resume the normal activities they had enjoyed before their hips gave out. For thousands, however, the hip replacement devices led to disappointment, debilitating pain, and do-over surgery. According to the FDA, between 1992 and 2011, nearly 40,000 patients suffered ‘adverse reactions’ from metal-on-metal hip joint replacements, including the Stryker Rejuvenate Modular-Neck and the ABG II Modular-Neck devices. The adverse reactions included metallosis (the release of metal ions into the tissue and blood stream); necrosis (premature tissue death); osteolysis (bone dissolution); and pain and loosening of the hip implant, requiring revision surgery. In 2012, Stryker announced a recall of these two products. Thousands of lawsuits followed.